I’ve been really fortunate to see some great films this summer. So far, the Brian Wilson biopic, Love & Mercy, has been my favorite. I knew nothing about the Beach Boys before watching Love & Mercy, and after seeing the movie, I started pulling up old videos of Brian Wilson and basking in the glow of the movie trailer (which I didn’t see before watching the film). The movie is *so* heart-wrenchingly good. Full of cruelty, imagination, creativity, madness, music, unconditional love, power, abuse, hope — and the final scenes in the movie are genius. This is a film I look forward to watching again. This weekend, I was able to see two more pictures. On Saturday night, I watched Testament of Youth, a film about World War I. 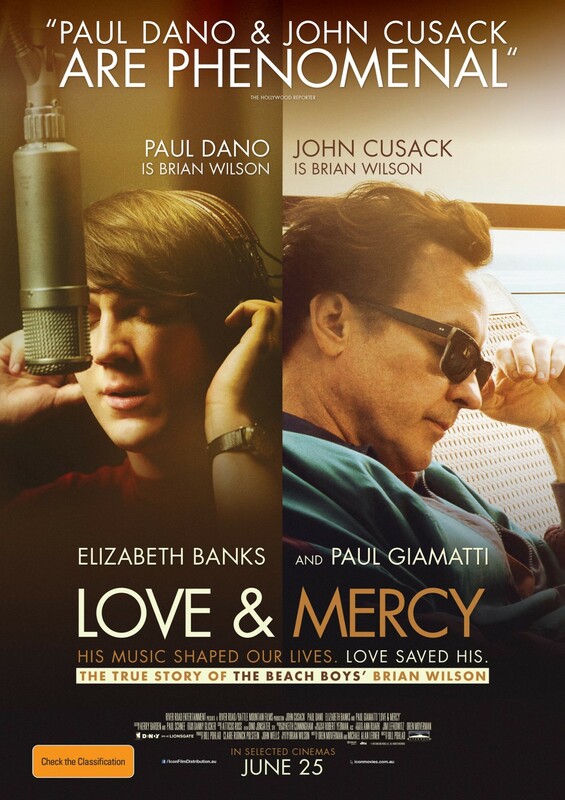 Like Love & Mercy, this film is a true story, a memoir come to life. I love the actor Alicia Vikander. She played the lead role in Ex Machina (another totally badass picture of 2015), and Ms. Vikander plays the lead role in Testament of Youth. She’s joined by an all-star cast, including Kit Harrington, best known as Jon Snow on Game of Thrones. If you’ve ever read the book Lords of Finance, or similar material about the post-WWI economy, or have ever read about the Marshall Plan, you’ll feel a mighty tide of history roll through you near the end of Testament of Youth — this is an exquisite movie about the Great War. Make sure to see it if you can. On Sunday, I joined two friends and my sister to watch Trainwreck. The screenplay was written by the amazingly funny and smart Amy Schumer, who also plays the lead role. I was expecting to love this film, as I’m soooooo ready for a romantic comedy written by a woman, with a script that’s being honest about women, telling a story that breaks the mold. I was worried though. I knew this film would have a happy ending (because, hello, just look at the commercials for the movie, that’s obvious — this *is* a rom com, after all) — and I was worried the happy ending would feel forced. Is the movie funny? Yes, absolutely. But it’s full of what I call “attack humor” — when you are laughing at someone or something, and the laughter is meant to be vicious. When I laugh at things and I feel bad about laughing. This is in keeping with the main character, Amy, a 23-year-old who is not meant to be likeable. She’s written to be an unlikeable heroine, and the movie is very successful in that. She is unlikeable, and I didn’t like her. I continued not to like her throughout the whole picture, a feeling that made the lagging ending before the big finale a major chore to sit through. I almost walked out of this movie, before the last 15 minutes, I was simply that sick of it. Because I did stay, I can say that the final few minutes were kind of cute and sweet, but they weren’t redemptive for me. I still find myself stewing over how much I disliked this film, and wishing I’d walked out, maybe saved myself some of this grief. My sister loved Trainwreck — this movie was a full 5-star WOW of adoration and love. She would tell anyone reading this post, “Do NOT listen to my sister — GO SEE THIS MOVIE. This movie is GREAT.” And I totally respect her opinion, and I totally understand why she feels that way. Trainwreck is a movie she wants to see again in the theater, and also own on DVD, once the film is released. My two friends also really enjoyed Trainwreck — a lot. One gave the movie 4.5 stars — and I think both of these friends, if they could chime in on this post, would also recommend you see this movie, enjoy yourself, laugh a lot, and support Amy Schumer’s creation as the comedy it is meant to be. But this movie aggravated me. It bothered me on a deep and visceral level. Because in the end — this is not a radical movie. Not at all. In the end, we all know why you sweet, silly woman-childs got to go get your ho on — because you are “broken” — and once you realize you’re “broken” — then — at last!! you will settle down with a mans, get married and have your two bébés just like a good woman should, and all will be right in the world. If this movie was gender-reversed, I would be just as disgusted. If a male lead had behaved like Amy throughout this whole picture, then done a little dance at the end to “get his girl back” and have the big happy ending — I would have felt just as upset. The idea that a woman is allowed to be a selfish jerk and an unabashed whore is what makes this film “revolutionary” and “groundbreaking” in the world of art — and I’m okay with that. I have dreams of writing my own books starring selfish whores, this is territory I enjoy. But then the movie gets all moralizing. That’s where I started to feel my blood pressure go up. Why couldn’t she just be a happy, selfish whore? Why did she have to start crying about being “broken” (and actually USE that word in the picture)?? Why did she have to literally “embrace” the pronouncement at the end that happiness comes with marriage and children by hugging her pregnant sister and preggo-sister’s super-annoying family, who Amy had held in contempt through the film? And then, after she embraces the MARRIAGE + KIDS = TRUE HAPPINESS epiphany, Amy goes and gets her doormat lover back in true rom-com fashion, ending the movie with the big happy ending that YES, Amy will Get Married, Have the Babies, Settle Her Wild Sh*t Down and Finally Have a Purpose in Life. So here is what I think of Trainwreck — it is like an Adam Sandler movie, where Amy Schumer plays the role of Adam Sandler — a totally selfish, unlikeable hero who still finds True Love, regardless of what nasty stuff comes out of his/her mouth — and at the end of the movie, we can cheer, because standard gender role values are upheld. And that’s all that matters. We keep telling Hollywood — if you give us that message, we’ll wave ribbons, throw confetti, shout to the rooftops, yes! Yes! 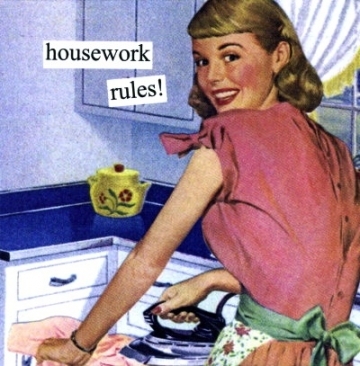 Women, get married! Have babies! This is your purpose in life! Go out there and get your True Love, settle down, and have your family! This is what living is! Which is also my way of saying that the plot of this movie felt incredibly weak. I didn’t buy Amy’s epiphany. I didn’t find her “transformation” convincing. And I didn’t like all the moralizing. It left me feeling like I’d rather go rafting in the snow, and suffer hypothermia, than ever see this movie again. I’m glad to be married, and I’m glad that people find purpose and meaning in settling down and having a family. But that message felt false in this movie. On so many levels. That said — I’m still glad this movie was made, and I’m glad that women are being allowed to take on male traits in film and in life. That change is important, and I support what Amy Schumer is doing 100 percent. I’m glad she’ll be making more movies, and making more comedies, because she is really good at it. But if she keeps making Adam Sandler-type gender-swap films, I’ll pass, because Adam Sandler has gotten meaner and grosser with his humor as time has gone on, and while there is a *huge* audience out there for that kind of comedy, I’m not one of those target audience members. Comedy is just a hard sell for me, anyway. My favorite genre has always been drama — comedy dramas, action dramas, romantic dramas — those are the stories that keep me most riveted. Maybe Amy Schumer will write a dramedy next, without all the moralizing — I’d go see that. My thinking is so abstract and so oriented to reform of restructuring (in my mind anyway) civilization that when I read what you write, with all the female feelings, “it restoreth my soul” to use a famous biblical phrase from the Psalms and is like you leadeth me beside still waters.